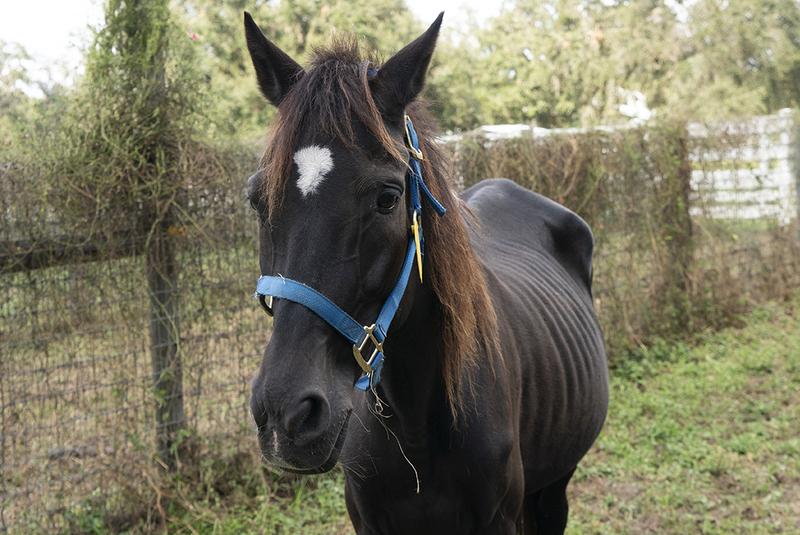 At the request of the Union County Sheriff’s Office, the ASPCA assisted with evidence collection and the removal of 51 horses suffering from various states of neglect on a 40-acre property near Lake Butler, Florida. 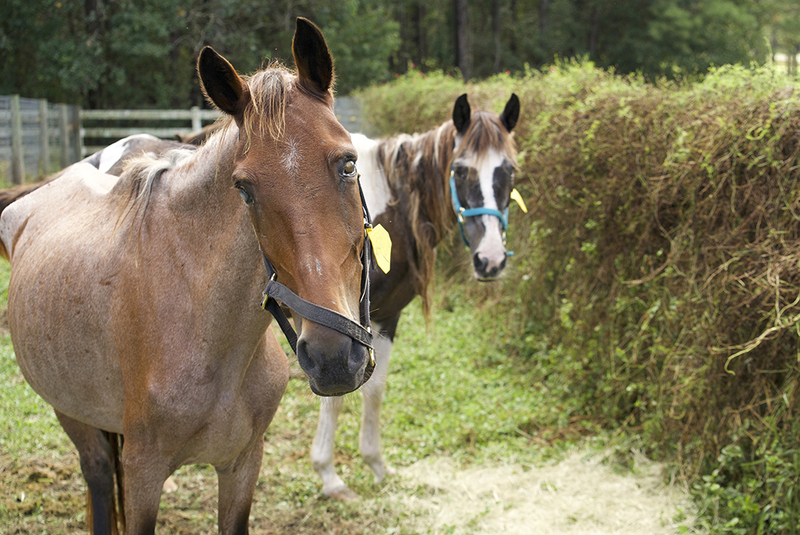 On October 25, investigators discovered horses living in inadequate conditions and exhibiting signs of neglect. Remains of deceased horses were also found on the property, as well as horses suffering from various medical issues that required immediate treatment. The ASPCA transported the majority of the horses from the property to an equine hospital where ASPCA forensic and equine veterinarians are conducting exams and providing daily care until the horses can be responsibly placed with Florida-based equine rescues. Charges are pending based on evidence collected by ASPCA experts in support of the investigation. Additionally, the ASPCA Legal Advocacy department is providing assistance to ensure the best legal outcome for these animals. 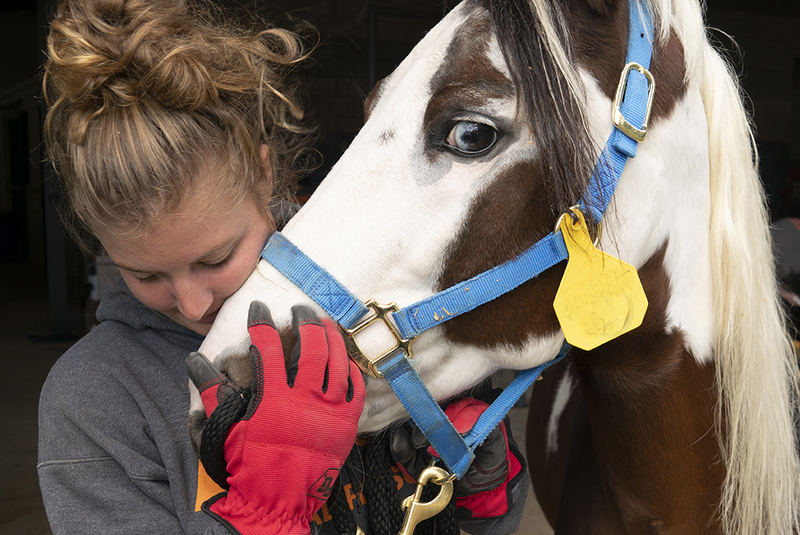 The ASPCA is focused on ensuring horses nationwide have good welfare, which includes working to help at-risk horses safely transition to new careers and homes, increase safety net support for horse owners, and enhance anti-cruelty efforts. Additionally, the ASPCA supports humane legislation and advocacy to improve equine welfare, provides targeted grants, and rescues horses impacted by disasters and in cruelty cases. Read more about our efforts on behalf of at-risk equines.